First of all what is Swine Flu? 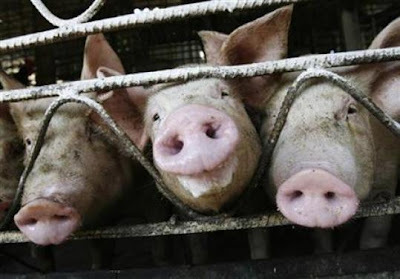 Swine Flu or Swine Influenza is a type of influenza common in swines but very rare in humans. The type of influenza from swines that can infect humans is very rare and only infects humans who are overly exposed to swines. Infection from one human to another is even very rare. So why the sudden spread of the Swine Flu this 2009? Well viruses and several pathogens are smart too. They are able to mutate and evolve too. So why is the Swine Flu deadly? Well the Swine Flu has the same signs and symptoms as a regular influenza flu such as fever, cough, sore throat, body aches, headache, chills and fatigue. The thing is Swine Flu doesn't just go away and regular antiviral drugs doesn't work against it. So how to prevent the spread of Swine Flu? Simple! Proper Handwashing! How easy is that? Since Swine Flue is spread just like normal influenza virus, handwashing after contact with the public is a good way to prevent infection. Also, vaccinations both in humans and swines will also help prevent the spread of Swine Flu.